YouTube has announced that it is rolling out the red carpet next Wednesday, as the first quartet of YouTube Red Originals premiere. On February 10th YouTube Red members will be able to exclusively 'enjoy' original series and movies from some of the most popular YouTube-born creators including PewDiePie and Lilly Singh. This is a feature length film of YouTuber and positivity guru Lilly Singh on a 26-city global tour. This is "an amazing story of unlikely friendships, unleashing passions and discovering yourself all through the power of dance". It's a feature film about a reluctant street dancer..
Another feature-length production. This is an 'action comedy' featuring four small time losers who stumble across an alien spaceship and misappropriate a super high tech 'battle-suit'. Hilarity ensues. Here is the first original series for YouTube Red. In this prank show you can watch the titular fellow "in real life games that take horror games to the next level". The show is produced by creators and executive producers of The Walking Dead. If you are not inspired to sign-up and pay a subscription for the above, then YouTube says that "We have lots more thrills, chills, LOLs, smiles, romances and surprises from more of your favorite YouTube stars coming later this year". As well as this exclusive content, subscribers receive; ad-free videos, the ability to save videos offline, background play plus a Google Play Music subscription. That last feature is probably the only one not available in third party YouTube app feature sets. 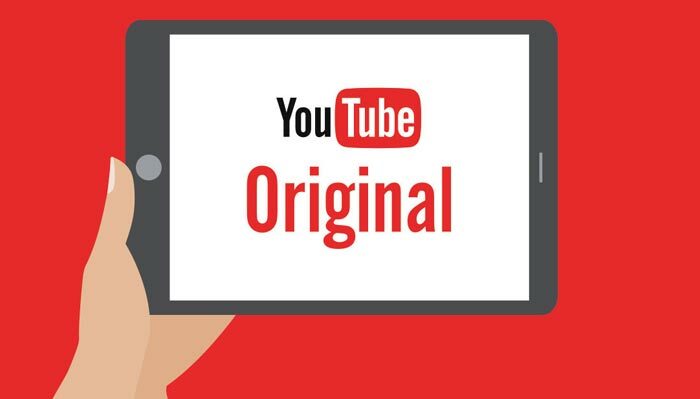 YouTube Red access to these originals is limited right now to the USA. A FAQ covering which countries can access / download these shows is available to those interested. Sounds God awful. Stick to selling adds ads. Adverts that could easily be circumvented by adblock?